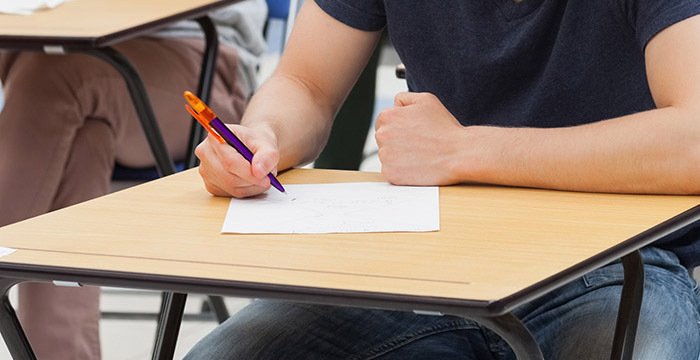 Aspiring solicitors will (hopefully) have a clearer idea of the costs involved in sitting the new Solicitors Qualifying Examination (SQE) by the end of the year, according to the regulator. Julie Brannan, the Solicitors Regulation Authority’s (SRA) director of education and training, said that a decision would be taken on fees and an implementation date “by the end of 2018”. Brannan, who was speaking at an SRA roundtable on the super-exam yesterday, revealed plans to publish a range of fees to give a clearer indication of the parameters within which the SQE fees may be set. Elsewhere during the roundtable, which was live-streamed on Twitter (embedded below), Brannan admitted that it was still unclear whether the SQE would come into force in 2020 or 2021. This, she said, would depend on how well-prepared law schools and other training providers were for the switchover. Though substantive details on the SQE are still thin of the ground, the SRA has proposed splitting the exam into two parts. Part one will be a computer-based assessment, which is likely to include multiple choice questions, while part two will test a candidate’s practical legal skills such as advocacy and client interviewing. The parts will be divided by a training contract-style period of on the job training, meaning a wannabe solicitor yet to secure training with a firm will be taking on less financial risk than they are at present with the “LPC gamble”. The update comes on the back of the announcement by the SRA that it had selected education giant Kaplan to develop and deliver the SQE. Kaplan has been appointed for a period of eight years from the introduction of assessment. The post Super-exam cost revealed before Christmas, says SRA appeared first on Legal Cheek.